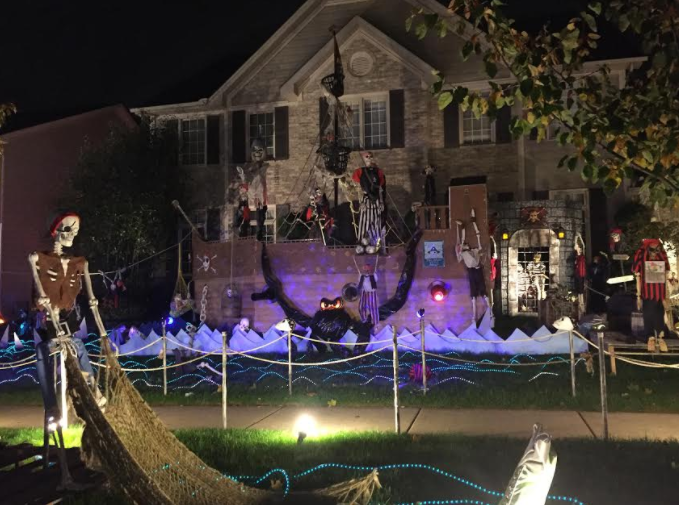 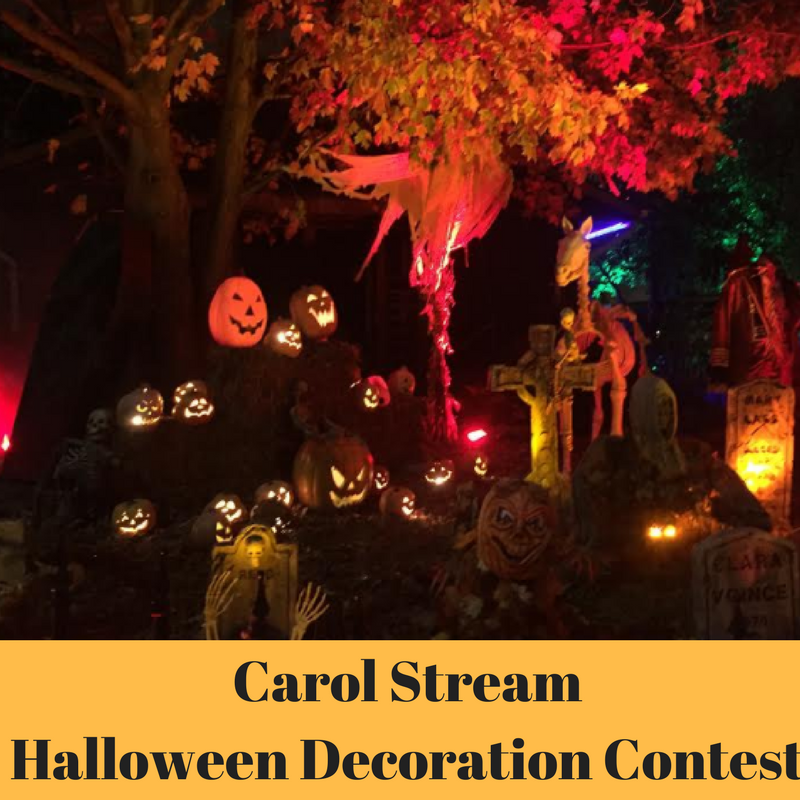 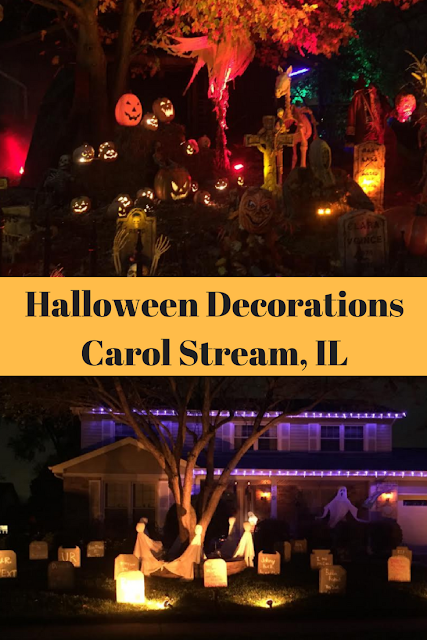 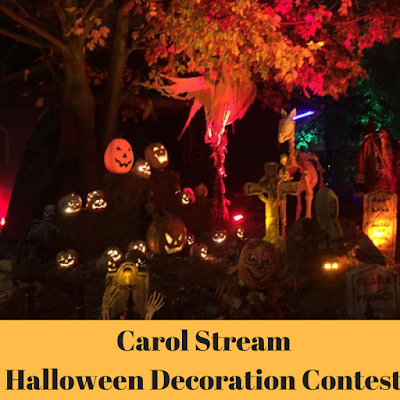 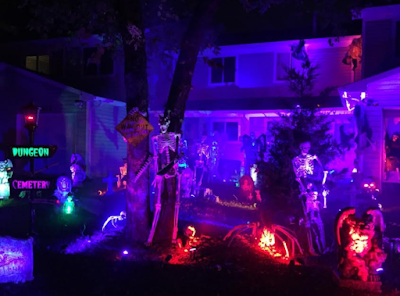 Last night we enjoyed spooky fun by checking out chilling scenes created by Carol Stream, Illinois residents for this year's Halloween Decoration Contest! 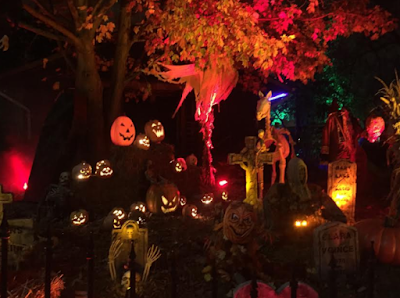 There are still a couple of more nights to check out the homes. 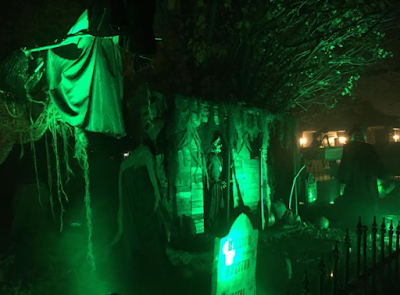 Take a peek at our frightening discoveries if you dare! 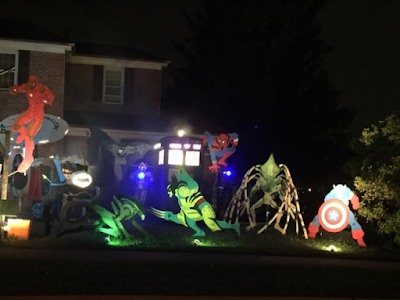 Another favorite display was filled with superheroes and even a Tardis sighting! 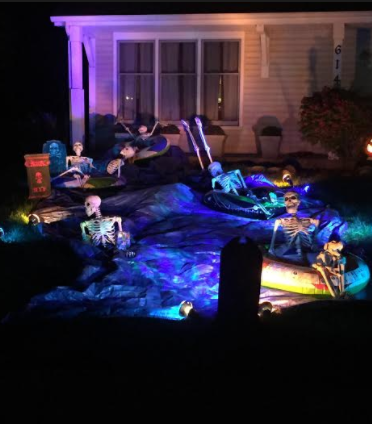 My husband, daughter and I all thought that this deadly sea scene was the most inventive. Really, not anything I would have thought of! Pretty cool! 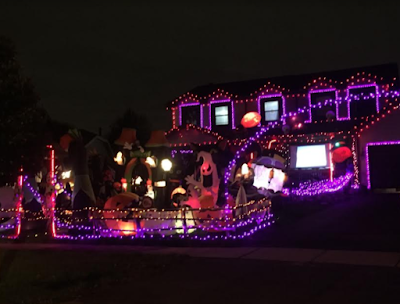 The next house is lit up all the way to the top! I love the combination of spooky and frivolity of Halloween! 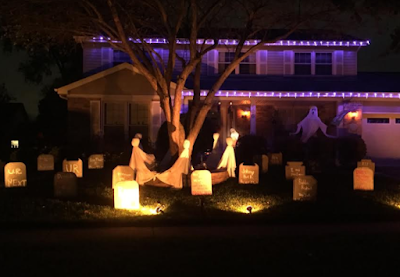 I love the more simple use of materials and colors at the home below. 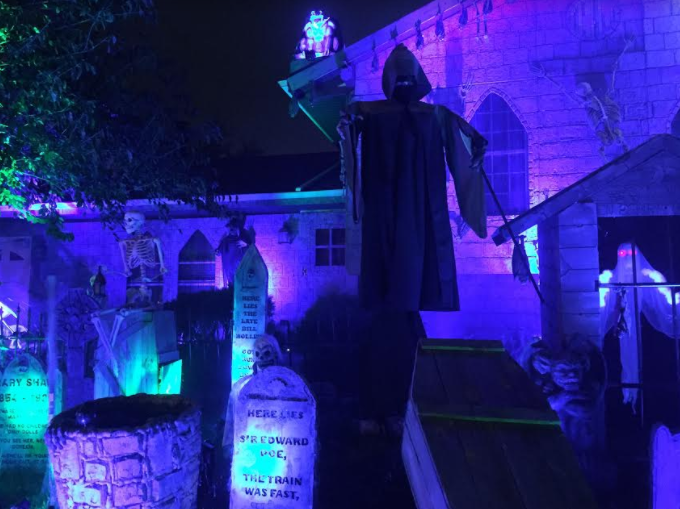 What an eerie graveyard! One of the last houses we visited is one that really will blow you away! Known as Canyon Trail Cemetery, the display involves a combination of scenes, light, sound and movement. 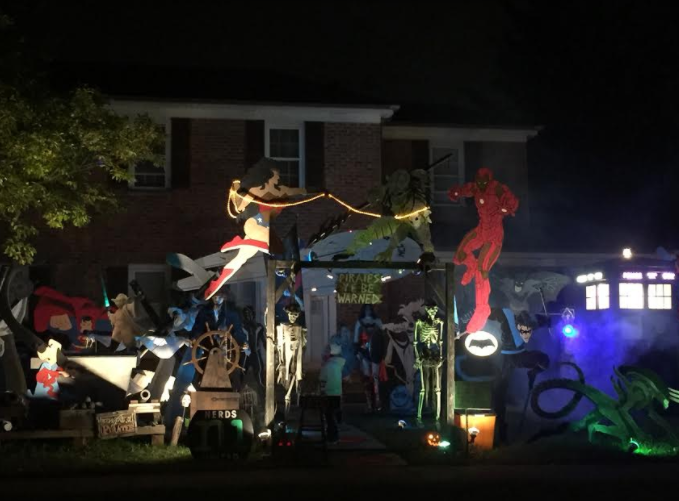 You will spend some time at this display. 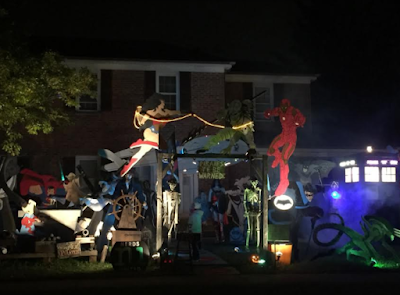 They are collecting for dog rescues, so bring a few dollars.